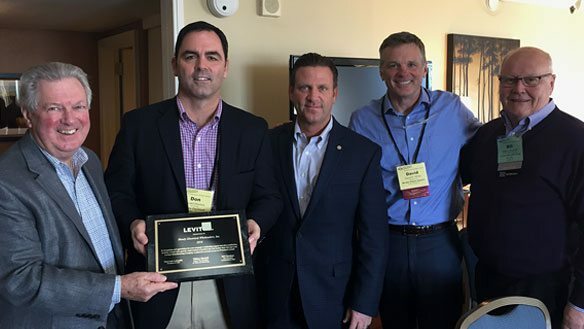 This past February, Shealy Electrical, a Division of Border States, was awarded the President Award from Leviton for 2016. From left to right: Bill Cheatham, Don Masters, Gino Dabbicco, David White, Bill Marshall. 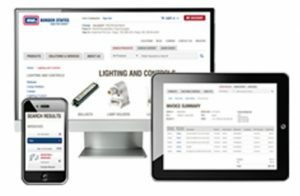 Leviton’s prestigious President Award is presented annually to a select group that offer outstanding support and sales contribution in terms of total sales growth, improvement of product mix and market share within the past year. Shealy was one of only 15 Affiliated Distributors members to receive the President Award in 2016. In 2015, Western Extralite, a division of Border States, was also honored with this award.